The Pelion Peninsula is fast becoming one of the most popular holiday destinations in Greece. Combining the wealth of natural beauty such as the mountains, the stunning coast and beaches, and the scenery and landscapes, Pelion is a haven for those who are seeking something special from their holidays in Greece. Situated approximately halfway between the cities of Athens and Thessaloniki, the region of Pelion peninsula on the east side of Central Greece offers the magical moments that holidays should be about. The region has a long and rich history, and was home to the mythical centaurs, as well as the departure point for Jason and the Argonauts when they left in search of the Golden Fleece. Pelion is a place where myth and reality live together perfectly, and those who visit this unique region of Greece can testify to it's amazing beauty and inspiration. Pelion is home to over 60 villages and coastal resorts, and each one has its own beauty and charm. From the mountainous villages such as Portaria and Tsagarada, to the coastal towns such as Kala Nera and Platanias, Pelion is the perfect combination of mountain and sea, of nature and inspiration, and a place where you will enjoy some of the most wonderful holidays of your lives. The coastal hamlet of Kalamos is a Pelion village which is the perfect destination for your holidays. With its picturesque setting, and the delightful beach, Kalamos offers true moments of peace and tranquility. It is here that our hotel is located. 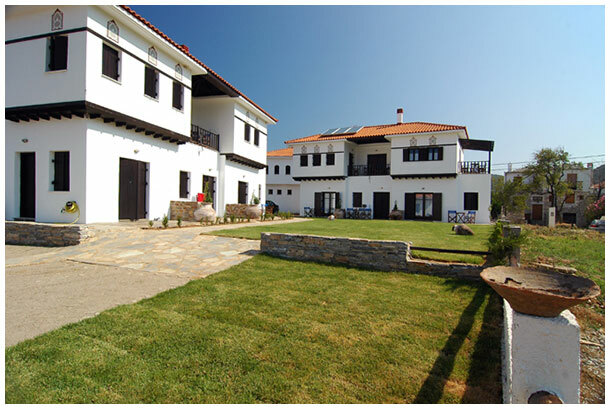 At the "Aktaion Hotel", we offer a wonderful selection of rooms and accommodation for your stay in Pelion. We are confident that our hotel will provide you with a comfortable and relaxing stay here in Kalamos, and we look forward to welcoming you here to Pelion in the very near future.